You might remember reading our blog Hetech is Lean and Mean in 2015, when we began implementing LEAN thinking and practices in August. A few months in, and the Continuous Improvement Process is helping our staff and management identify critical areas of waste. Now I bet you’re wondering what the title of this blog is about? D.O.W.N.T.I.M.E? What does it mean and what does it have to do with LEAN? It’s simply an acronym used by Think Perform to help our staff remember and identify the 8 forms of waste. 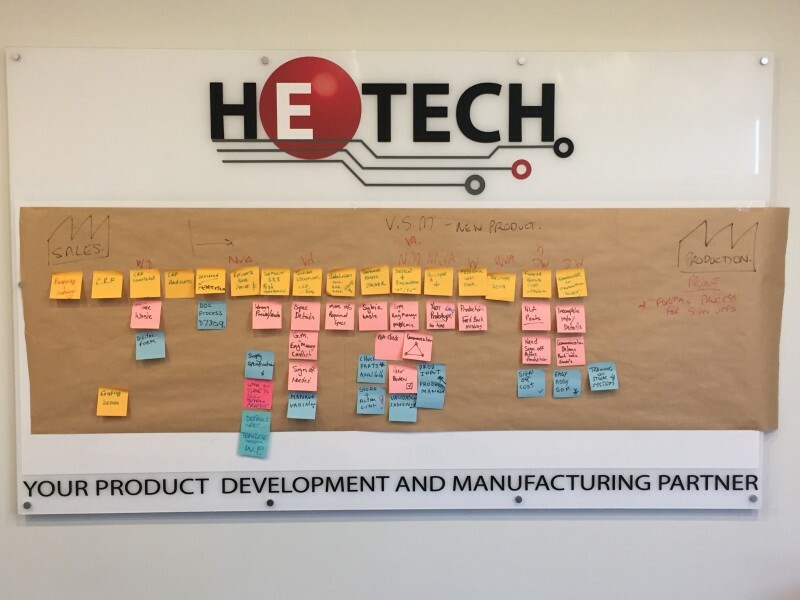 The first module of the Continuous Improvement Process saw Hetech staff undertake process mapping, a problem solving technique used to analyse and improve the flow of information and materials from beginning to the end of a production process. The key benefit of completing a process map is that is clearly shows where the obvious and hidden waste exists. So why do we feel that implementing LEAN practices into our everyday processes are important? The Continuous Improvement Process allows Hetech to pass on to our customers the benefits of improved productivity, improved quality and most importantly reduce costs! The Hetech are looking forward to the next process- 5S and Safety.